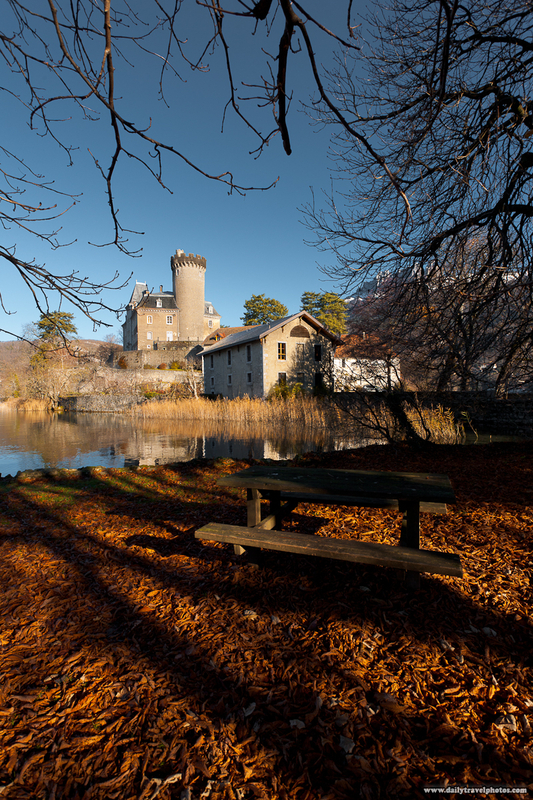 A picnic table at Chateau Ruphy, a beautiful French castle near Annecy. Judging by the private mailbox and locked front gate, the castle seems to be in full working order. In other words, someone actual owns and lives in this beast of a home! His heating bill must cost a fortune. More importantly, I wonder if he's got wifi inside. 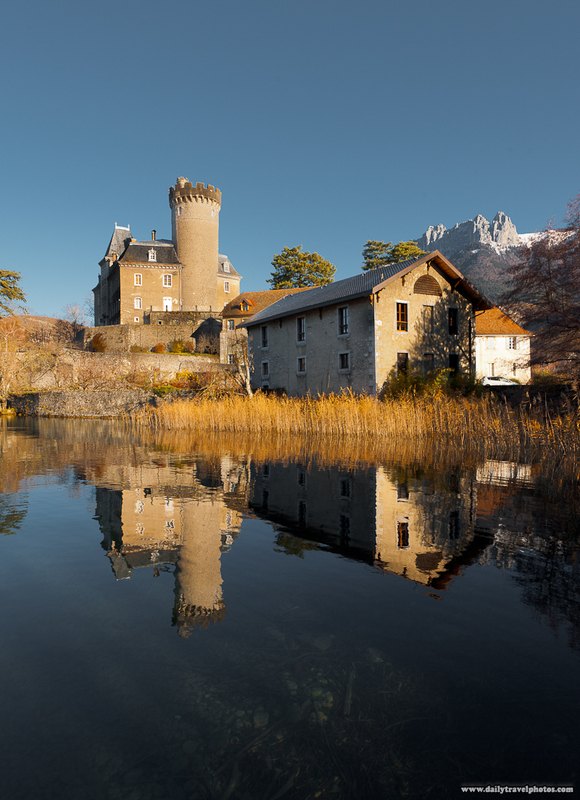 Chateau Ruphy reflected in the waters of Annecy Lake.